Having problems with falling hair? Maybe this article would help you. Having excessive falling hair is a condition that has commonly shared by several people. Many factors contribute to this, such as stress and tension, poor diet and malnutrition, hormonal imbalance, over-processing of the hair, and frequent use of styling products and chemicals, to name a few. Just because it is a common condition doesn’t mean that it should be ignored and left untreated. Whenever you allow the condition to persist, you might find yourself dealing with bigger problems in the time to come, such as hair loss and phalacrosis or baldness. If you suffer from excessive hair fall, here are some simple steps to follow in order to stop the problem. Reevaluate your diet and eating habits. Make a point that you are providing your body with the right amount of vitamins and nutrients. Eat a lot of food rich in protein and Vitamins B and E, as these promote the growth of healthy and lustrous hair. Avoid combing or brushing your hair when it is wet and refrain from putting it up on a ponytail or a tight bun. Hair is at its weakest when wet and brushing or combing it makes it prone to splitting and breakage. Fixing your hair up in a very tight hairstyle may also cause unnecessary damage to the hair follicles and may result to hair loss. Finally, always keep your scalp clean and free of dirt or product buildup. Wash it on a daily basis to eliminate dirt, grime, excess sebum, and styling product buildup. Massage it every now and then to aid in the circulation of blood to the scalp. This allows the scalp and the hair follicles to breathe and to stimulate the growth and production of healthy hair. Should the Hair be Blow Dried or Air Dried? It’s a matter of preference, actually. Some people don’t have much time to devote to styling their hair, or prefer to achieve the uttermost styling they can get for their hair, so they opt for blow-drying it. On the other hand, there are some people who think that blow-drying is a waste of electricity and is the quickest way of damaging the hair, so they opt to have it air dried. Which is better, you may ask? Both ways of drying the hair have their advantages and disadvantages, and there are proper and improper ways of doing both. Read on and discover what these are. Air drying - is usually done by people who have short and low-maintenance hairstyles, or by people with curly hair. There are also people who have long hair yet have their hair air dry, as air drying does not subject the hair to excessive heat. 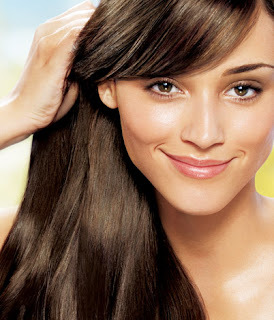 Therefore, the hair is not as susceptible to damage as hair that has blow dried. If you’re going to have your hair air dried, it’s very important to remember that the hair is at its weakest when it’s wet. So, mind not to rub your hair dry with the use of a towel. The friction caused by rubbing the hair with a towel will make the hair brittle and eventually break. Instead of rubbing it, you should instead blot the moisture out of your hair with the towel. Also, be careful not to tug or pull at your hair that much when it’s still wet. Once the water is blotted out of the hair, fluff it out with your fingers. Blow Drying - the hair is the most convenient way of doing it, and because most people live fast-paced lives, blow drying the hair is the way most people want to do it. Moreover, drying the hair using a blower adds volume to the hair. But inasmuch that blow drying is very convenient, it’s also dangerous to the hair, especially if overdone. It can make the hair very brittle. If you blow dry your hair, make a point that it is not soaking. Blot the water out with a towel first. Don’t hold the dryer too close to your head; keep it at least six inches away from your hair and move the dryer constantly around your head. Protect the outer strands of your hair from being over-dried by bending over and blow drying your hair with your hair hanging upside down. Also, try not to dry your hair completely with the blow dryer. Stop while the hair is still slightly damp. Whether you air dry your hair or you blow dry it’s completely your own choice based on your own lifestyle and preferences. But whatever you do, always remember that the hair is fragile. Be careful while dealing it.